It is rare that two opposing managers find themselves in complete agreement. But Jurgen Klopp and Niko Kovac were content to shake hands, exchange niceties and go their separate ways a fortnight ago. The former had secured a result that was “not perfect, but good enough”, while the latter’s glass was “half full, half empty”. Hindsight has been even kinder on a first-leg result that always had positive connotations for both teams. 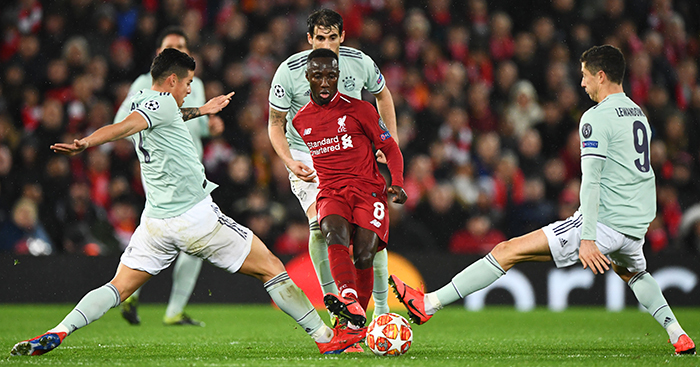 Bayern Munich remain only the second visiting side – after Manchester City – to keep a clean sheet at Anfield this season, while the Bundesliga champions have scored in 24 of their last 25 games. A Liverpool team with Fabinho and Joel Matip at the heart of their defence are the exception to that rule. Virgil van Dijk will return for the trip to Germany, while Mats Hummels has recovered fully from illness to reprise a role he filled so diligently on Merseyside. The result could be decided not necessarily by who has the most effective attack, but by which of those two supreme centre-halves truly excels. It is a new challenge for Liverpool, who never had to chase a second-leg result in their run to the Champions League final last season. They led by five, three and three goals after the first legs of their knock-out ties in 2017/18, drawing, winning and losing the second legs respectively. It could go either way. They have also not won away in the competition since beating Manchester City last April. That, combined with Bayern’s irrepressible form, makes the hosts favourites, but both teams enter the Allianz Arena with reason for cautious optimism. It makes this perhaps the most intriguing game of the Champions League knockout rounds so far. The only other last-16 tie that ended in a first-leg draw was Barcelona against Lyon, and the Spaniards will be overwhelming favourites at home on Wednesday. The other matches saw either decisive first-leg victories, unexpected and unpredictable second-leg results, or both. But this is a game that has always been finely poised, balanced on a knife-edge between the Bundesliga leaders and the team second in the Premier League. It could take a single moment of Franck Ribery inspiration or Mohamed Salah genius to disturb the delicate equilibrium. Therein lies the beauty of this tie. 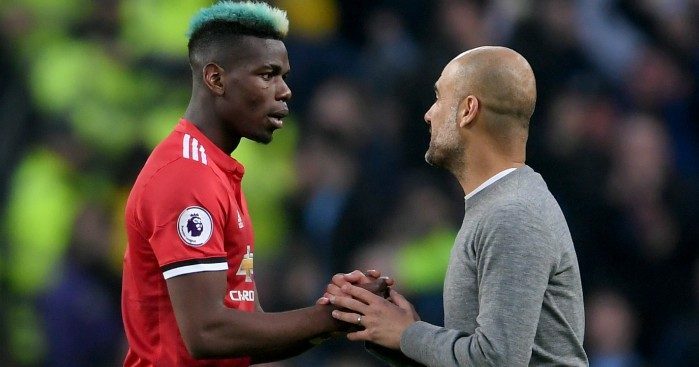 It was genuinely refreshing when it was made, pitting together two of Europe’s most enduring teams who – despite their respective successes – had only met seven times, and not in 18 years. It is even more invigorating with the promise of at least 90 more evenly-matched minutes. It really was the most wonderful match: the conceited superstar and the egotistical superclub, both ignoring the other’s flaws to accentuate their strengths. Cristiano Ronaldo and Real Madrid was not quite the perfect relationship – no such thing exists in football – but it came awfully close. Both sought to widen their horizons last summer, yet both might already be regretting their decision. Real are broken, humbled to such an extent that Zinedine Zidane has been parachuted in to rescue them, while Ronaldo will not consider himself to be faring much better. A sixth league title was almost a given after joining a club that had won seven consecutive Serie A crowns. The 34-year-old was instead to be judged on his European escapades. Not since 2010 has he failed to at least reach the Champions League semi-finals. Not since 2012 has he failed to finish a season as the competition’s top goalscorer. 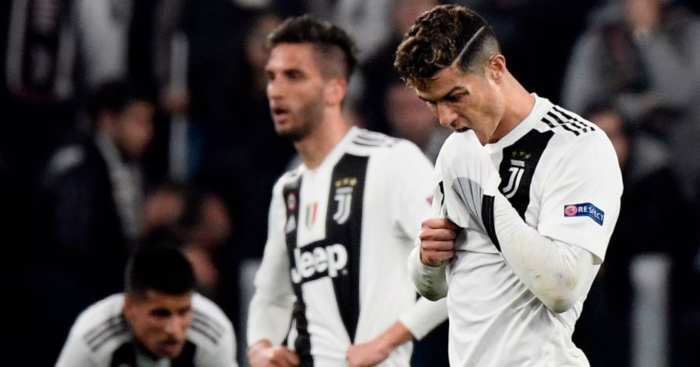 Yet Juventus stand on the brink of an ignominious last-16 exit, with Ronaldo having scored just once this European campaign. That will surely have to change if Juventus are to complete an unlikely second-leg comeback. Atletico Madrid were comfortable winners in Spain, have kept five successive clean sheets, and have lost by two clear goals just twice in their last 35 games. It is quite the mountain, but Ronaldo has reached the game’s summit time and time again. Can he drag The Old Lady up with him? It seems that no matter what Ernesto Valverde might do, he will never win over an element of the Barcelona support. Despite combining the Copa del Rey with an almost unbeaten La Liga season and title, he has never received the ubiquitous backing of a volatile fanbase. Last season’s Champions League quarter-final exit to Roma is a wound that still needs to heal. Barcelona led the tie 4-1 after a dominant first leg in Catalonia, but were victims of a remarkable second-leg revival to lose on away goals. For many fans, it remains an unforgivable failure, one to continually beat the manager with despite domestic over-achievement. So overcoming Lyon after a first-leg stalemate in France is less a request, and more a requirement. His job might depend on it. A second La Liga title seems likely, while they will face Valencia in another Copa del Rey final. But for the pragmatist with an idealist’s squad, they have become unreasonably low bars that he is expected to clear. The Champions League is his bread and butter. Barcelona have not failed to progress past this stage since Liverpool thwarted them in 2007, and it is unthinkable that France’s third-best team could stop them in their tracks at home this campaign. But then Italy’s third-best team did precisely that 12 months ago. The question now is how much Valverde learned from that astonishing lesson. As one door creaks shut, another is flung wide open. Over the course of three tumultuous days, Arsenal drifted out of Europa League contention to ‘suddenly’ enter a Champions League race they have never really left at any point this season. The victory over Manchester United was achieved against the backdrop of disappointment away at Rennes. Against United, Arsenal displayed the sort of game management – and benefited from precisely the sort of fortune – that was painfully absent in France earlier in the week. But they have the chance to right those wrongs at fortress Emirates. The Gunners have won eight of their last nine home games, avenging their only defeat of 2019 on Sunday. It is a far cry from their most recent preparations for a Europa League last 16 second leg. Arsenal are fourth in the Premier League and looking up with eight games remaining this season, but were sixth and looking down to a Burnley side just five points below them at this stage last campaign, with AC Milan still to come to north London. By that point, Arsene Wenger had placed all his eggs in a European basket. He waited until April to publicly confirm that it was “the biggest priority now”, but must have privately conceded that it was the case much sooner. 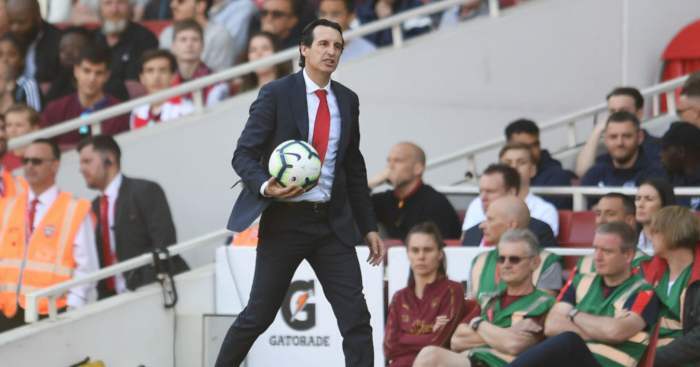 The difference under Unai Emery is that Arsenal have earned the luxury of choice. He rather unsurprisingly pinned his colours to the European mast as early as September, but expectations and perspectives change. Arsenal have closed the gap to third place to a single point, so would be forgiven for concentrating on domestic matters. Perhaps Emery feels he can juggle both, what with Arsenal’s momentum and generous Premier League fixture list. 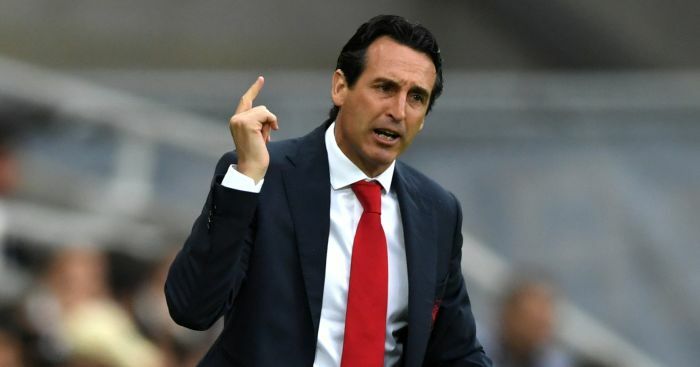 Having reached the Europa League quarter-finals as a minimum in each of his last five campaigns in the competition, winning it three times, he will be confident of overcoming Rennes’ two-goal deficit in front of a re-energised home crowd. April 2018’s Premier League manager of the month is March 2019’s latest to fall by the Championship wayside. West Brom are fourth and Darren Moore is out of a job. The Baggies made no secret of their reasons for a decision that has been met with widespread condemnation. 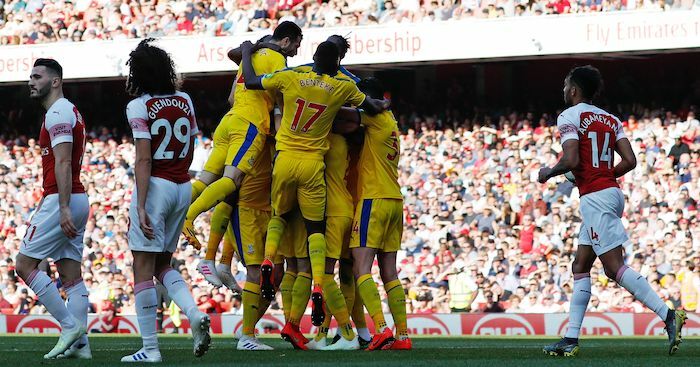 What their official website termed ‘a disappointing run of results’ has seen them win just four of their last 12 league games, a run which has included defeats to direct promotion rivals Leeds, Sheffield United and Middlesbrough. 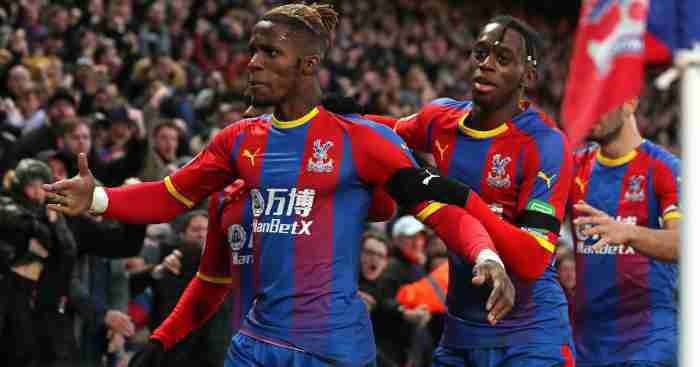 “We have made it clear from the outset that everything this season was geared to making as swift a return to the Premier League as possible,” said chief executive Mark Jenkins, with West Brom nine points behind second place. With no permanent appointment in place three days later, a Swansea side that pushed leaders Norwich to the limit last week visit The Hawthorns on Tuesday. If only to respond to the critics, a first home league win since Boxing Day would not go amiss.